This is a short story I wrote for a Halloween contest. Thought I’d post it here for anyone’s viewing pleasure and to help gear you up for Halloween! It was pitch black. Cory couldn’t see a thing. But she could smell the dirt, feel the biting chill. She didn’t know where she was, only that it was cold. Her clothes were gone. She wished that she could move, but ropes around her wrists and ankles kept her prostrate on the hard ground. A cloth was stuck in her mouth with duct tape over her lips. The last thing she remembered was a hooded shadow jumping out and jabbing a syringe in her neck. She had no idea how long she’d been out. There were no sounds to indicate her abductor in the vicinity. As if to contradict her thoughts, there came a sliding movement near her leg. Cory held still, not wanting to alert the other presence that she was awake. Suddenly, another movement came from the other side, this time brushing up against her hip. She recoiled at the sensation of cool, reptilian skin brushing against hers. Cory hoped it wasn’t what she thought. A small hiss by her head confirmed the fear. Snakes were with her. Breathing rapidly through her nose, she closed her eyes and tried to stop trembling. The snakes would be attracted to her body heat, but she hadn’t done anything to antagonize them, so they shouldn’t bite her. As long as she held perfectly still, they would simply absorb her body heat and leave her be… right? A heavy, leathery sensation slithered over her bare stomach and Cory couldn’t keep herself from jerking. Snakes seemed to slide over her from every direction. She wasn’t sure how many were on her, but she felt their considerable weight on top of her chest and both arms. There had to be at least three gliding over her legs. Tears leaked down the sides of her face and soft whimpers escaped her throat. A sudden, sharp pain exploded in her right thigh. Acidic burning bloomed through her upper leg. She grunted through her gag. Another bite in the soft flesh of her upper arm made her scream, though it was muffled. Then the biting was everywhere. Needle points of pain hit her on her toes, her chest, even her neck. Cory could feel her body start to swell as the venom worked its way into her system. “Trish.” It was Detective Holdman’s voice. Large, warm hands were on her shoulders, gently shaking her. Trish blinked, but everything looked blurry. The light was blinding after the vision she’d just experienced. Swaying her head from side to side, her eyes were able to focus on the blond man leaning over her, his brows drawn together with concern. “Sna-“ Trish coughed before she could get her words out. Detective Holdman had a glass of water ready for her. With trembling hands, she accepted the drink and sipped at it while glancing around the conference table. Valerie Clemmings, an FBI profiler, was studying her with interest while Holdman and Crandle sat on either side of Trish with silent support. They were used to Trish’s visions, as she’d been working for the local police department for five years now. Everyone at the table seemed to mull over her words and were taking down notes. Trish’s heart rate calmed as she waited. The visions were always so intense, so vivid. It was the only time she experienced such strong emotions. Sometimes it was hard to believe that she had been sitting in the fluorescently lit room at the police station that whole time. “She is,” both detectives said in unison. Trish pulled some of her dark hair over her shoulder to hide a smile. The FBI agent could check the records for all the cases she’d helped close. The only one they hadn’t caught so far was the Ghost. Closing her legs, Trish was glad no one could see her movement. The memory of that vision was still fresh. She continued to have nightmares about it even though the vision was months ago. Trish stared at the bag that Valerie pushed in front of her. The last vision had been more than unsettling. She wasn’t mentally prepared for another. “We can push this off till tomorrow,” Holdman said, watching her. Debbie’s eyelids felt heavy. She didn’t want to open them, but knew there was something wrong. She needed to wake up. Forcing herself to open her eyes, she saw a single light bulb hanging from a string on the ceiling. It didn’t produce much illumination. Debbie was lying on a bare mattress on the floor. Only wearing underwear, her skin felt a little sticky and it gave off a strange, sweet smell. Through growing hysteria, her memory clicked into place. Kidnapped. Scanning the bare, windowless walls, she spotted a door with a removed doorknob. Getting up slowly, she walked over to inspect it. The place where the knob should have been was filled with cement. Debbie tried to push it open, but it wouldn’t budge. The hinges were on the other side, and getting out looked impossible. A sob escaped from her and the brunette stepped back. A sickly crunch echoed throughout the empty room as she felt something squish under her foot. Debbie squealed and hopped onto her other foot. Glancing down, she saw the large brown spider that she’d killed. Realizing that the poor lighting didn’t allow her to see into the corners of the small space, she swallowed and moved closer to the light. Rubbing her arms, her eyes watered with desperation. Wiping away some tears to clear her vision, Debbie saw four large spiders crawling by her feet. Giving a small screech, she ran over to the mattress that was against the wall. When she felt little butterfly caresses on both her shoulders, she screamed and brushed the spiders off. Turning to look at the wall she’d backed up against, she saw that it was covered with all different kinds of arachnids. The smallest was the size of a nickel and they varied in colors. They were pouring out of a vent from the ceiling. Panic seized her. Small feet pattered over her ears and neck. Debbie frantically smacked at her face and ran over to the door, stepping on several spiders in the process. Spiders were crawling up her legs now. Through her terror, she could feel some of them biting her. One spot on her neck particularly burned. Never had Debbie thought she would die in such a terrible manner. Trish came to and realized that she’d been screaming. She was lying on the floor with both Holdman and Crandle holding her down. Glancing between them, she saw their determined faces shiny with sweat. How long had they been holding her down? How much had she fought? Holdman helped her sit up. “Crandle, get her water.” The other detective complied and had a glass for her in a few seconds. Trish tried to take it, but her hand was trembling too hard. Finally Holdman grabbed the glass and held it to her lips. After a few sips, she was able to get her shaking under control. The detectives helped her into her seat and Trish tried to appear professional as she relayed the details to her team, but was certain her face was too pale to pull it off. Two visions in one night was unusual. She felt overstimulated from such intense emotions that had flowed through to her from the victims. Nodding, she followed him out into the hall after Trish said goodbye to Crandle and Valerie. “I’ll be fine.” She opened her door. Squeezing her shoulder before letting go, Holdman nodded and closed the door. Driving out of the parking lot, Trish berated herself for being so soft toward the detective. Whenever she had strong emotions, it sparked too many visions that would eventually make her lose her mind. She’d almost lost sight of reality when her mom died. Since then, she hadn’t allowed herself to get close to anyone, or feel anything, if she could help it. The only time she felt anything at all these days were when the visions came upon her. Pulling into a grocery store, Trish got out and entered to grab some dinner for the night. As she walked down the frozen food section, she passed a woman who looked similar to her. As well as all the other victims of the Ghost. Could she be looking at the next victim? Shaking her head, Trish went back to picking out frozen dinners and hurried to the register to pay for them. In the deserted parking lot, Trish saw the brunette again. The woman was just about to finish loading her groceries. Trish’s heart rate went up a notch when she noticed that her hair was almost the exact same length as Trish’s. Clenching her jaw, Trish went to her car and put her bag in the back seat. Glancing over, she saw that the woman was closing her trunk and heading to the driver’s side. A compulsion forced Trish’s steps in the stranger’s direction. The woman looked down at her feet where Trish pointed. Trish took that moment to pull a syringe out of her purse. Moving quickly, she plunged the needle into the woman’s neck. The brunette instantly sagged and Trish picked her up with a practiced strength. Trish moved mechanically as she deposited the body into her trunk and drove to the next place she’d scoped out last week. This time, she wanted to see what it would be like to die from hundreds of shallow cuts made by a drill bit. She’d seen it in a movie and was curious what it would feel like. What kind of emotions someone would feel during such a torturous death. There was no one around as Trish moved the girl into the abandoned warehouse. This area was deserted with no bystanders to hear what they’d be doing. Trish was in her full gear, complete with a head visor, coveralls, and gloves, when her victim began to stir. 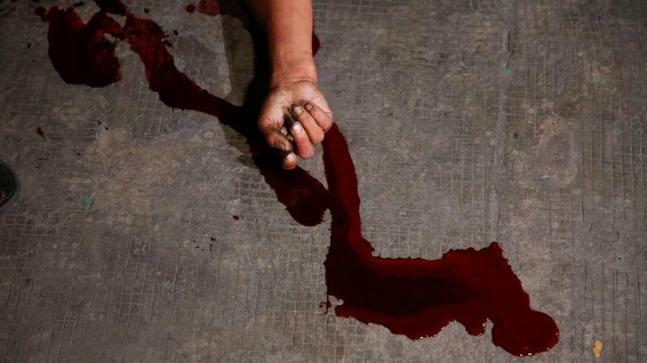 Walking over to her victim, Trish saw that the woman was not quite awake yet. It was the perfect time that Trish liked to converse with her victims. The woman’s screams were the loudest that Trish had heard yet. It has been a privilege to be a part of the Fairy Tale Ink. 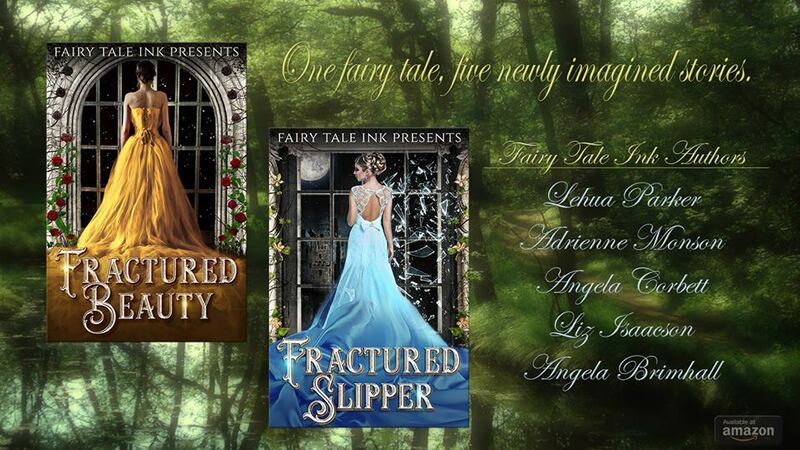 Readers have absolutely loved Fractured Beauty and Fractured Slipper. I’m thrilled to be part of their next boxed set, Fractured Sea! This boxed set of four different retold versions of The Little Mermaid is now available for preorder at an exclusive sale for only .99! When it releases on August 31st, the price will jump up to $4.99, so preorder your copy now and save. The Fairy Tale Ink is proud to present these four retold stories of the classic, The Little Mermaid. A story for every reader from best-selling and award-winning authors! 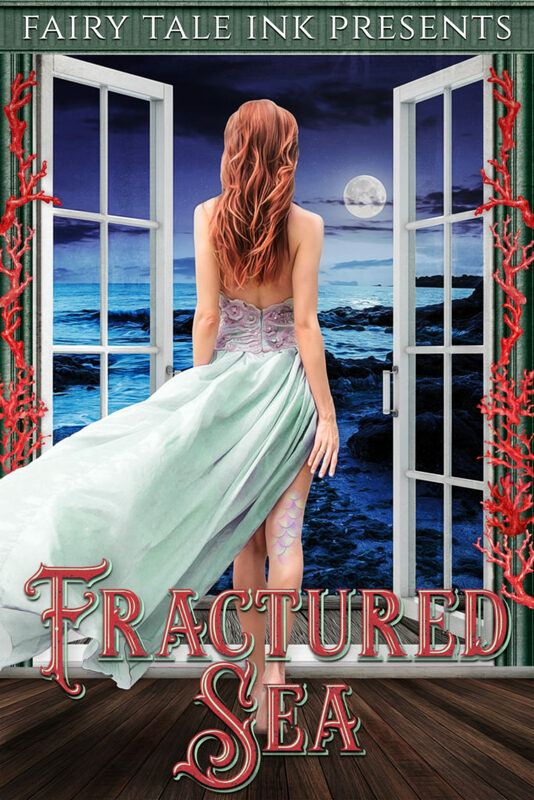 Fractured Beauty has gotten wonderful reviews! Fractured Slipper is also doing well! BLURB: Something dark stirs within the peaceful walls of the prosperous town of Graywall, something only the mysterious knight-spy known as The Shadow can overcome. Torn between a sense of justice and a desire for revenge, The Shadow is the nobleman Sir Calan, who must use his skills to assist the Lord of Graywall. When Sir Calan is sent to hunt down smugglers who have run rampant after the levying of a harsh tax by King Edward, he learns of a plot against the just ruler of the town, Lord Shaufton. To thwart this plot, Calan enters a pseudo courtship with Shaufton’s daughter under the guise of Sir Calan, even as he wrestles with emotions stirred by the lovely Elsbeth, Lord Shaufton’s niece. 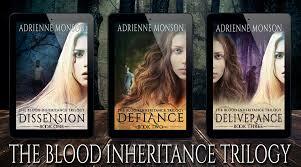 Elsbeth may be the only person who can heal Calan’s troubled soul, but she has secrets of her own. Rife with deceit, greed, and betrayal, Shadow of Valor is a timeless tale of honor, love, and redemption. Get it on Amazon or Barnes&Noble. Follow Elsie on her blog, FaceBook, and Twitter.